Gujrat is a one of the most amazing state of India which has a vast scope of Tourism. If you are planning to visit India again or are coming first time Gujrat could be one of the best option for you. This beautiful states holds different colors init. Dandiya dance, Dhokla, Khakra, Wildlife visit, beaches, temple and heritage make you to fall in love with it. It is one of the most diverse state in India. Life is live though out the year here. After morning breakfast, relax and get ready to go for Ahmadabad Sightseeing with tour guide. Places of tourist interest you will visit in and around the city are Siddi Saiyad which is one of the religious sites for Muslim, Jama Masjid, Dada Hari Baoli, Sabarmati Ashram, Hathi Singh's Temple and Shaking Minarates. All these buildings are constructed in eye-catching structure that will grab your attention. Enjoy your lunch. After morning breakfast, get ready to go for an excursion to Modhera and Patan. Modhera is one of the most famous regions in the state of Ahmadabad. Here you will discover the magnificent Sun Temple. In the Western India it is the most popular places of Worship and the finest example of Hindu's temple architectural design. Here you will witness and discover Sun's rays illuminate the sanctum at dawn. Discover the destination with great enthusiasm. After morning breakfast, check-out from the hotel and get in car to drive towards Rajkot. The journey from Ahmadabad to Arjkot is quite interesting, en-route you will visit Lothal which is popular destination encircled with amazing architectural structures and sculptures. Explore world famous archaeological sites. Here you can experience the history of ancient Indus Valley Civilization. Museum in the destination houses rare antiquities that back to ancient times. After morning breakfast, get ready for Rajkot sightseeing. Places of tourist interest in the beautiful Rajkot City are Sardar Smriti Bhawan, Watson Museum which is one of the well-stocked museums in India and stunning Lal Pari Lake. The scenic sites of Lal Pari Lake will surely hypnotize your attention. After visiting such place, continue your Gujarat tour towards the city of Junagarh. After morning breakfast, dress-up and ready for Junagarh sightseeing. Attractive sites in the city of Junagarh are ancient Junagarh Fort. In the complex of fort there are many gorgeous palaces, lush green gardens and mosques. Discover beautiful Uparkot Fort and Sakerbagh Garden. Enjoy panoramic view of Girnar Mountain which is dotted with Jain Temples constructed during the 12th Century. After morning breakfast, check-out from the hotel and drive towards Gir. In Gir, you will visit one of the most thrilling wildlife habitats, that is, Gir Wildlife Reserve. In the dense forest you will experience Jeep Safari to explore the wildlife reserve. After visit you will leave Gir and drive the car towards Diu. After breakfast, dress-up and ready to go for Diu sightseeing. 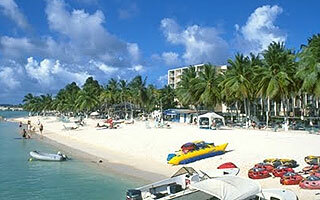 In the destination you will spend unforgettable moments by visiting stunning beaches. Diu is a sea shore scattered over an area of 21 kilometres. Name of the famous beaches where you can enjoy lavishly are the Gomtimata, the Nagoa beach and the Ghogla Beach. Adventure activities are also available. Some of the thrilling sports are Jet Skiing, Para Sailing and Water Scooter. Enjoy your vacation in this stop-over with great zeal. After morning breakfast, check-out from the hotel and get ready to drive towards Bhavnagar. En-route you will visit Palitana. 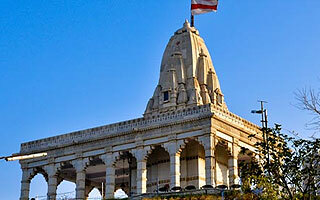 Palitana is regarded as the place of Victory and in the site there are elegantly constructed Jain Temples. After visit, drive towards the city of Bhavnagar. After morning breakfast, get ready for Bhavnagar Sightseeing. 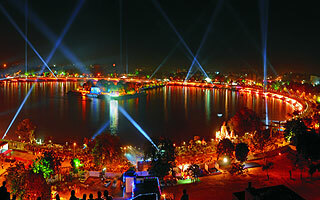 Bhavnagar tour is full of fun and entertainment. Famous eye-catching sites in the city are Victoria Park which is covered with lush green meadows. Observe colourful exotic flora in the garden and there are lovely birds playing in the garden. Chirping sounds of bird species like Raptors, Perching birds and Waders in the background will make you adorable feelings. Historic gallery Gandhi Samriti is worth to visit. The gallery showcasing multiple books that back to erstwhile time, rare photos and memorabilia associated with the life history of Father of Nation - Mahatma Gandhi. After morning breakfast, pack your bag and get ready to check-out from the hotel. Our tour representative will transfer you to Airport and fly towards the metropolitan city Mumbai. Here your tour ends. Our tour representative will wait for your in the Mumbai Airport and transfer to the Mumbai Hotel. In the city of Mumbai, you can enjoy the tour in your own arrangement. Wish you have a lovely time in the metropolitan city.